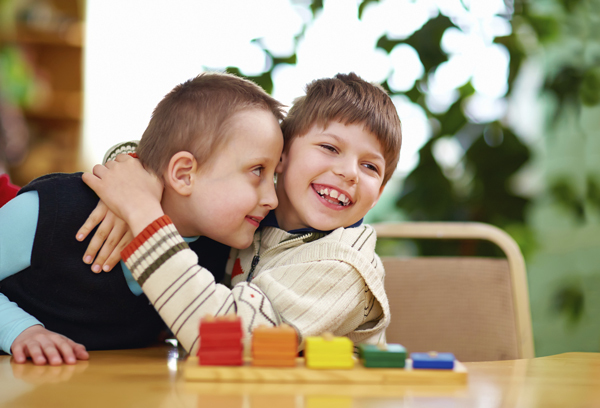 Connections Therapy Center offers speech therapy services to children and adolescents with special needs. Connections Therapy Center offers speech therapy services to children and adolescents with special needs. They work one-on-one with each child to improve their communication skills by incorporating many aspects of speech and language development. Some of the goals that our speech therapists try to accomplish include a better articulation of words, increased conversation ability, increased comprehension of others’ intentions, and improved nonverbal communication skills. A major portion of communication is actually nonverbal. It includes facets such as body language, the tone of voice, body contact, and eye contact. Since it can sometimes be challenging to communicate with a child with special needs through words, sometimes you need to rely on nonverbal communication. Here are a few ways this is possible. Nowadays, we have technologies for just about everything. If your child is struggling to develop communication skills, there are many apps available that were designed for children with special needs. Many of them feature fun and interactive games that many children find enjoyable. By playing utilizing one of these apps, a child will be learning and be picking up on skills without even realizing it. Music is something that just about everyone can relate to. Not only is listening to music gratifying, but it can also be an excellent way for a child to learn. It is an effective way to communicate with a child with special needs. It also is a great way for a child to express themselves in a healthy and constructive manner. It can be difficult to communicate with a child who has hearing challenges. Hand gestures and sign language are one of the best ways to communicate with another person without using words. Hand gestures and sign language should not be limited to children who have auditory challenges, but they can also be used for children and adolescents who are nonverbal. This entry was posted on Friday, March 16th, 2018	at 9:43 am	. You can follow any responses to this entry through the RSS 2.0 feed. Both comments and pings are currently closed.